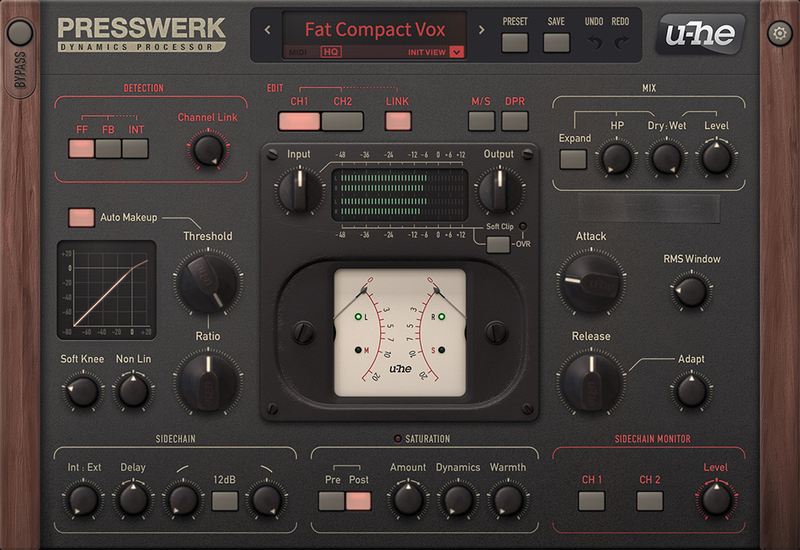 Presswerk by u-he is a Virtual Effect Audio Plugin. It functions as a VST Plugin, an Audio Units Plugin, a VST 3 Plugin and an AAX Plugin. 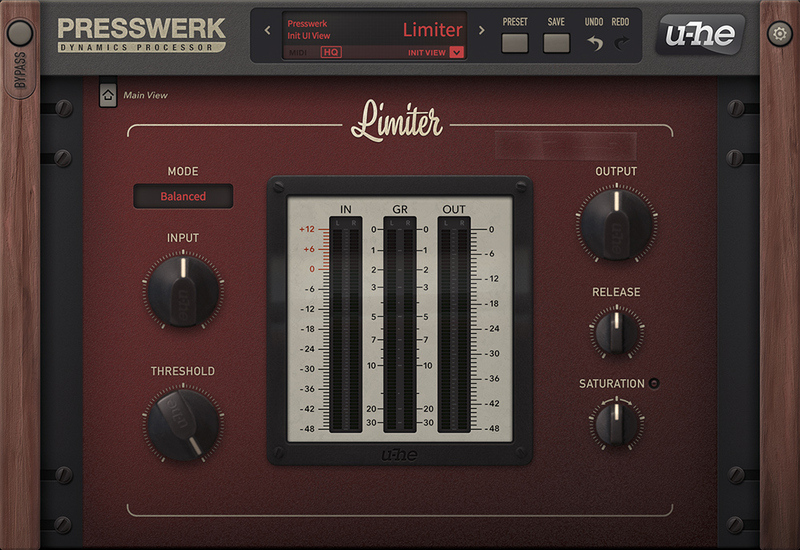 Presswerk is a powerful and easy-to-use dynamics processor from u-he. With rich feature set and an "everything at your fingertips" interface, Presswerk is well suited for a large range of sound shaping tasks. 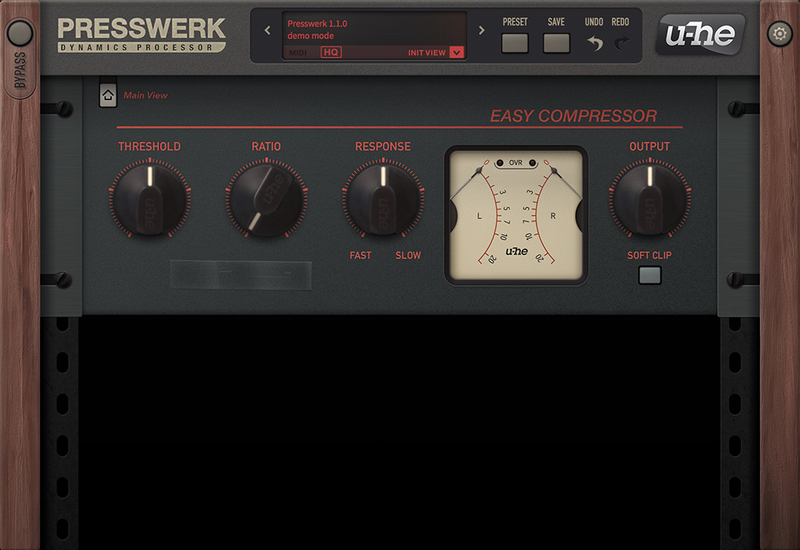 Presswerk blends the tone and warmth of classic hardware models with modern touches to create a compressor rich in musical soul, but still packs a punch. feed-forward: more modern style and precise. feed-back: more classic style and musical. 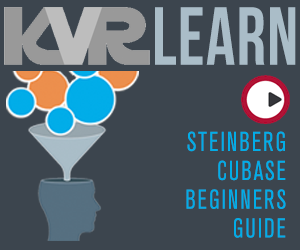 interactive (mixture of feed-back and feed-forward). Dual channel (stereo) or two independent channels - control values can be set for both channels or each channel independently. 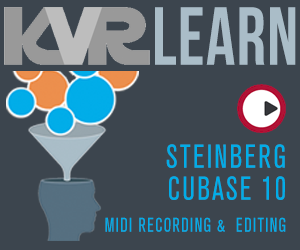 M/S (Mid-Side) mode - for more detailed stereo processing and delicate mastering tasks. 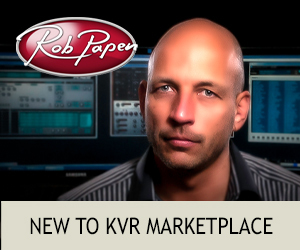 DPR (Dual Phase Rotation) mode - creates an emulation of classic outboard gear phase response by rotating lower and mid frequencies at input and output stages. Compression Ratio - from 1:1 to 20:1. Adjustable Non Linear control - simulates the behaviour of specific compressors or gain-reduction circuits. Full envelope control - adjustment the attack, release, RMS window. Sidechain ready with 6 / 12 dB high pass & low pass filters. Pre or post compression stage saturation with variable "warmth" (tilt filter style) and "dynamics" to model the distortion behaviour of the FET-based voltage dividers from classic devices. Dry / Wet mix controls with high pass filter and expand options. Analogue style VU meters display gain reduction. User interface zooms in 10% steps. 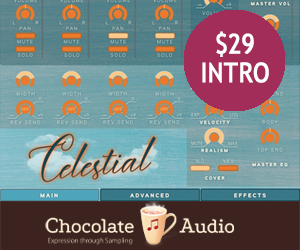 32 & 64-bit VST, AU, AAX. 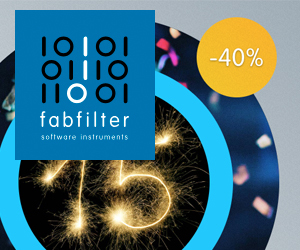 Beautifully musical sounding, highly (yet sensibly) configurable dynamics processor with moderate CPU load. 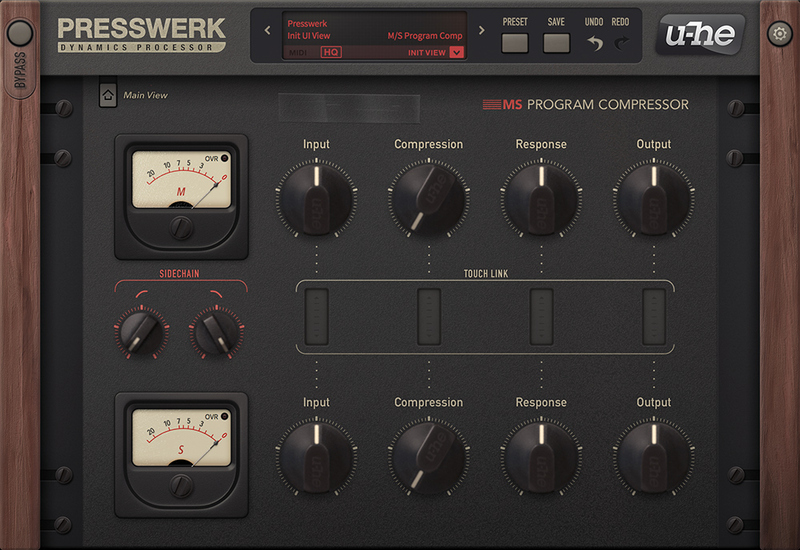 I was comparing several reputable compressor plugins and was reluctant to try Presswerk. I'm really glad I ended up taking it for a spin. 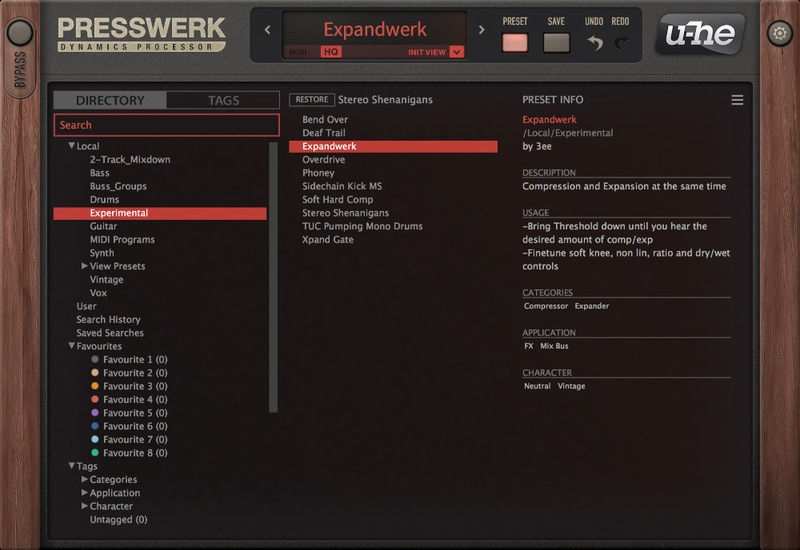 For my personal priorities (don't need spectrum analysis in a compressor plugin), and for my personal taste Presswerk is by far the best sounding compressor plugin currently on the market, with just enough configuration flexibility to cover all my tracking mixing and mastering needs. I'm going to keep this very short as I am definitely no expert on compressors, much less ones that model vintage hardware compressors. My first thought was "$129 for a compressor, are you kidding?" 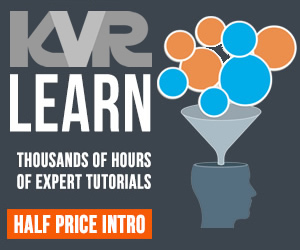 But now I think it's worth every penny. The very first mix I used it on I could tell that this is no ordinary compressor. It's hard to put into words. It just makes things sound awesome. The presets are great, especially for people like me who only kinda sorta know what they're doing. But I'm actually learning more about using compressors now that I have one I'm actually excited to use. It sounds great, the GUI is inviting, clear and functional. The gain reduction meters are great. The CPU load might be bit high to use this on every single track, but it's actually moderate enough that most people could probably use it on all their buses + any tracks where they wanted a little extra character, grit, warmth etc. 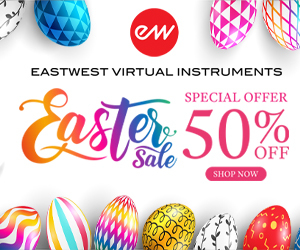 Most DAWs come with very CPU-efficient stock compressors that will do the trick for very basic jobs, so you can save up your juice for where it matters. 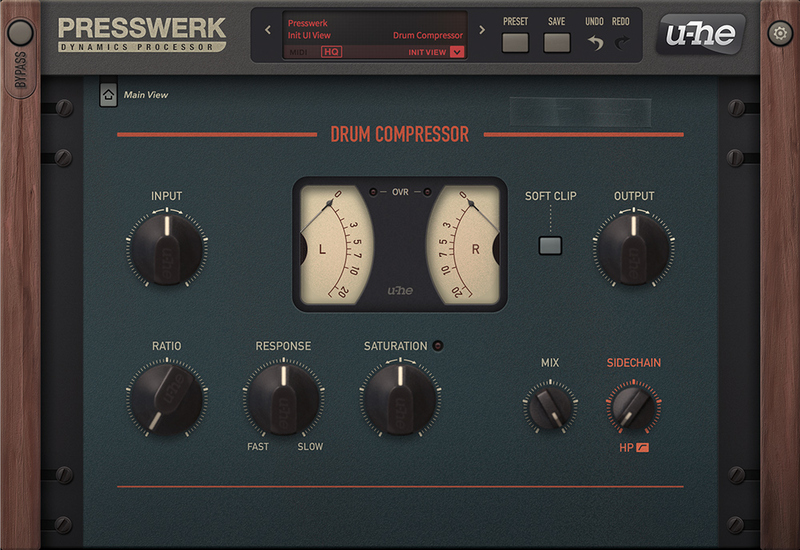 If you already have a compressor you love, you might be able to skip this one. 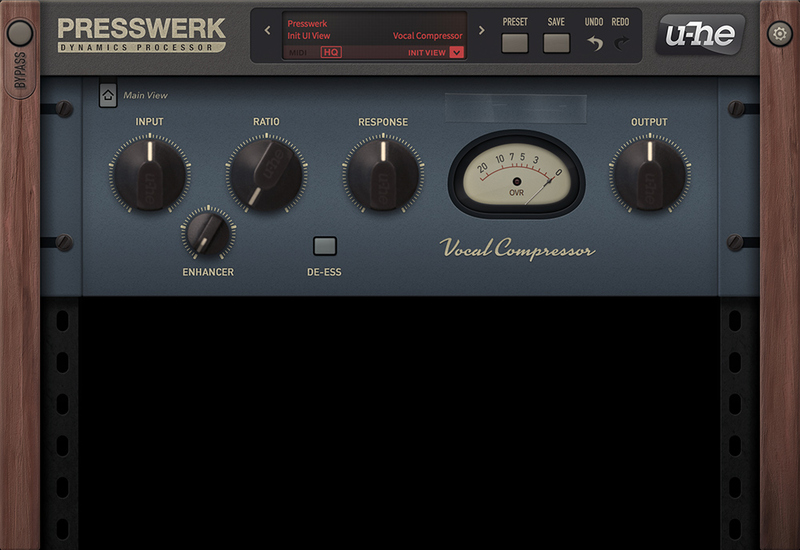 But if your experience with compressors so far has been just using them because you basically have to, then try this out. It;s outstanding and you'll soon be rationalizing why it's okay to drop a good chunk of change on it. 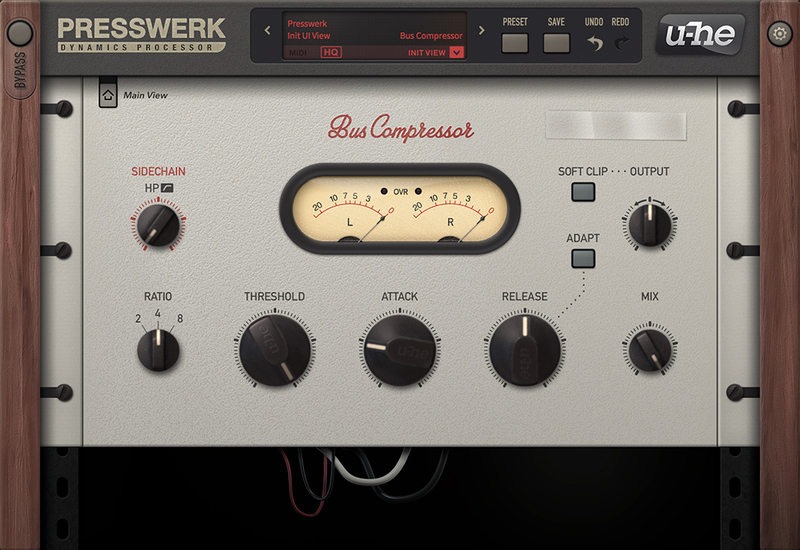 My absolutly favorit compressor, thank you soo much u-he for this !. It looks like the alternate views are back. Am I correct? I'm basing this on a fresh official video that I just saw. They are much better although they weren't bad to begin with. Very nice work.